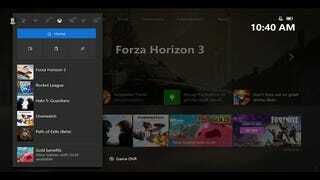 That’s right, the Xbox One dashboard is changing again. Gone are the vertical columns introduced in the March update. Now console owners boot up their systems to a relatively clean top page featuring their most recently-used games plus a couple of ads, hints and suggestions. But the home page doesn’t stop there. Using the new content blocks concept, players will be able to pin just about anything they want to their home page. Games, friends, and services can all be pinned to home, generating a personalized page that shows up when users scroll below the newer, cleaner splash screen. Players can pin as much as they want to their home. Or they can pin nothing at all. It’s all down to personal preference. Also much improved and revamped is the guide, AKA the menu icons. Right now they are running down the left side of the screen, where they look like garbage. We were so stupid back then. In March. 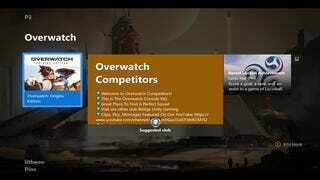 In the new dashboard, the guide is a pop-up box with a series of topics along the top, easily navigable with the Xbox controller’s bumpers or analog stick. Not only is the menu more easily navigable, it also looks to be a great deal faster, as seen in the preview video below. Also included in the update is a refined community page, where players can choose what sort of feeds they want showing up, with options like friends, popular games, followed clubs and other favorite content. You can find out more about the upcoming changes in today’s post on Xbox Wire. No word on when the update will go wide aside from later this year. 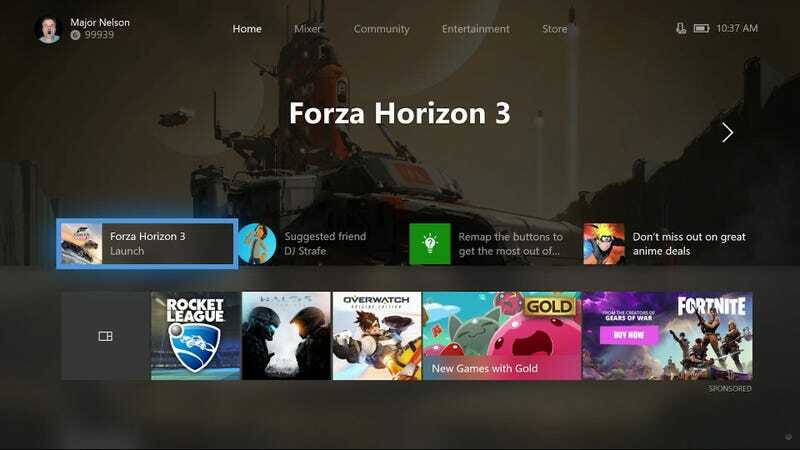 Hopefully that will give Xbox One owners a chance to say goodbye to the dashboard introduced just five short months ago. Oh March update, we hardly knew ye.